It’s 2018 and things exist, indie games are occupying every niche available, and here’s a blackjack game on Switch which perfectly recreates the style and look of Street Fighter II. The similarities are uncanny, down to the choices in colour palette, the lavish backgrounds and the international main cast. Super Blackjack Battle II: The Card Warriors is a mouthful of a game name and a very interesting curio, but as a game it does leave some areas to be desired. 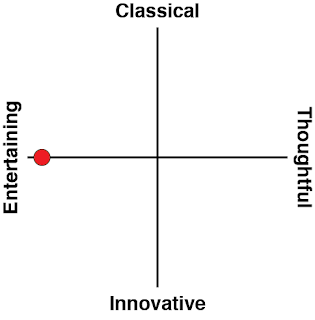 The game’s strong point is definitely its love for Street Fighter II and the campy 80’s culture that came with it. The game even starts up with a mockup of the FBI’s “winners don’t do drugs” image that is burned into the minds of people who grew up in that era. 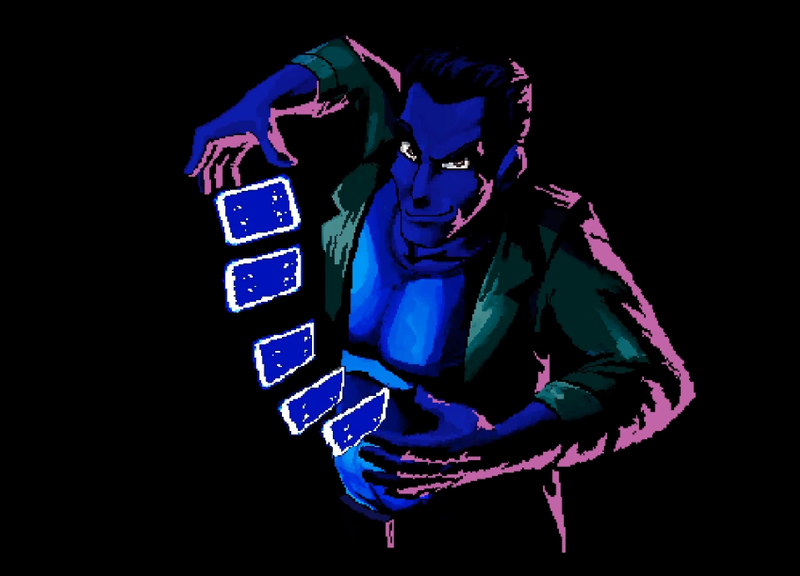 Super Blackjack Battle II’s sprites are detailed and expressive, and each character has multiple poses which come together to create an engaging personality. Each one hails from a different part of the world and has an ultimate character goal that draws them to the card table, and even though most are shallow and one-dimensional, I quickly found my favourites. 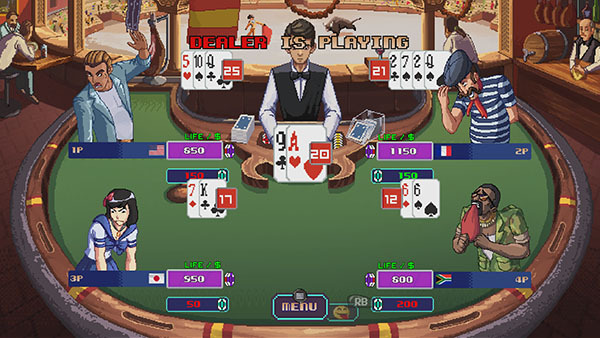 The game’s arcade mode sees players taking on each of the game’s 12 characters in sequence on the blackjack table. The blackjack itself is kept simple – it’s the age old game of risk and reward, taking cards from the dealer to try and meet 21 without going over. 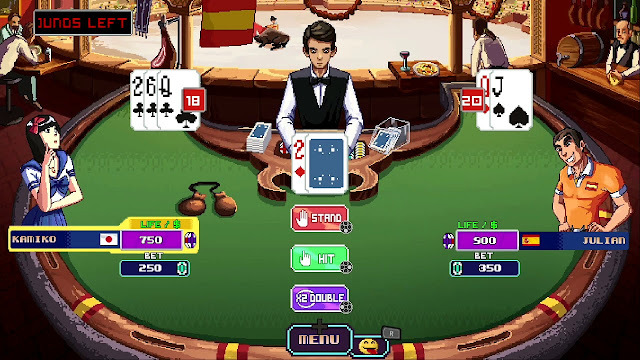 Super Blackjack Battle II also offers a discrete match mode which is just you against the dealer, and a party mode where four players can share one Switch console on one Joy-Con. But Blackjack isn’t so much a game with strategy and tactical decision-making as it is a game with betting systems and dominant strategies; for each possible dealt hand some mathematician far smarter than I will ever be has already calculated the best choice to make for the highest probability of winning. And now in 2018 with these findings readily available Google, succeeding in blackjack is about following a formula more than anything else, and The Card Warriors on Switch is sorely lacking in the vibrant atmosphere of a real casino. These issues are exacerbated to the betting system used by the game to simulate a real life blackjack table. Betting is done blind before any cards are dealt, from a pool of chips totalling to 1000 dollars broken down in increments of 50. You’ll be playing against the dealer on the same table as your opponent, so it’s a bit less of a true duel than it is two people trying to outlast each other. You’ll play 10 rounds and whichever player has the most chips by the end is the winner. The AI opponents, while all diverse and well animated, play as if these rules don’t exist. They don’t make decisions with their money to try and win the duel, instead choosing to play conservatively based on how well or how badly their first two hands go. If your opponent bets 250 on round one and loses while you win, you can comfortably bet the minimum each round assured that there’s no way your rival will even try to catch up. Even on Round 10, when it would make the most sense to make a last ditch all in, the AI doesn’t. Winning against them doesn’t feel satisfying as a result. It sounds strange for me to be criticising this game for the problems inherent within a classic card game, and yet I definitely believe that Super Blackjack Battle II’s strict adherence to casino scoring makes it a much less interesting game both alone and shared. Street Fighter II isn’t a realistic analogue of tournament fighting and it’s all the better for it – its abstractions from reality created a competitive system that enabled tactical play. Super Blackjack Battle II on the other hand lacks any embellishments of this sort – there are no character or arena specific quirks, no additional rules or alterations to the core game at hand. 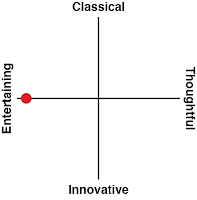 There’s nothing wrong about it, but it does wear out its welcome very rapidly. The main flaw of Super Blackjack Battle II is that a coat of paint, no matter how well made, can’t give depth to an ultimately shallow experience. Even with its four player multiplayer mode, this game is just a blackjack table – and one which is a little worse than just buying a pack of cards and playing in real life. While blackjack is certainly an interesting game from a mathematical standpoint, its focus on chance over tactical thinking doesn’t lend itself well to digitisation that other card and board games can.